The actions of states, whether on a national or an international scale, are based on the principle of sovereignty. When two or more sovereign subjects of international law meet, questions of jurisdiction arise, i.e., who has the right and obligation to act. The main purpose of the Convention is to define and regulate such questions relevant to the sea. A central point in this respect concerns how far from the coast the influence of a coastal state extends. For the average person, the sea begins at the beach, the coastline of the mainland, where realization that another world begins is unavoidable: a different environment of wind, waves, tides, special means of communications, fishing, and so on. This perception of the sea is almost identical with that part of the planet which the Convention seeks to regulate. 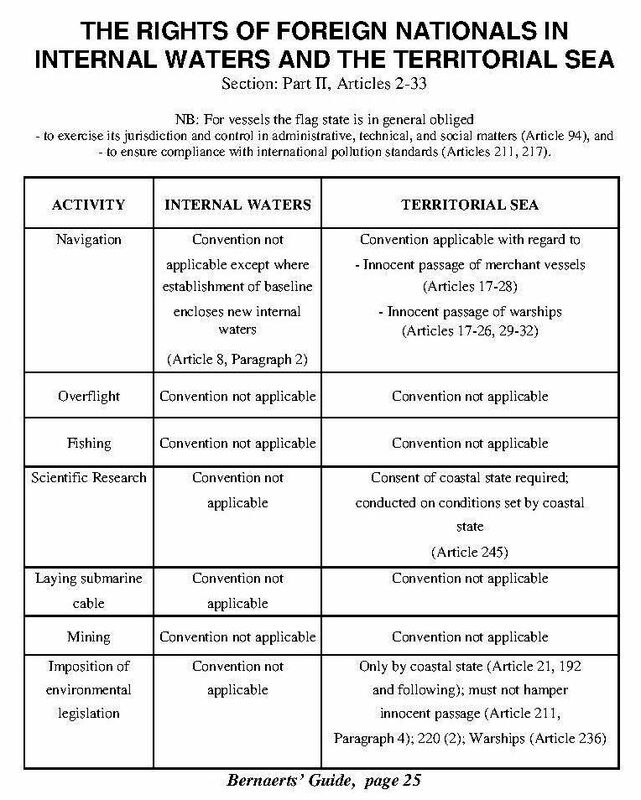 However, the Convention does not necessarily see the natural coastline as the limit of the sea; instead, an artificial line, the baseline, is drawn, as will be described in the next section. 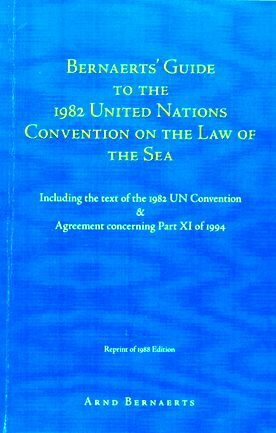 Within this artificial line all water areas (which are known as internal waters), the mainland, and islands are not subject to the Convention, and the state can exercise its sovereignty as provided elsewhere in international law. 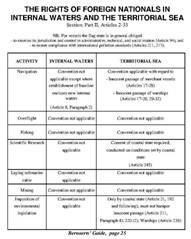 (5) Pollution from vessels (Articles 194, Subparagraph 3(b), 211, 217-234). and holds the coastal state responsible for the fulfilment of its international obligations. There are some further regulations imposing limits on the state's sovereignty, but they are generally of less importance. The Convention jurisdiction thus described is subject to compulsory dispute settlement provided by the Convention.